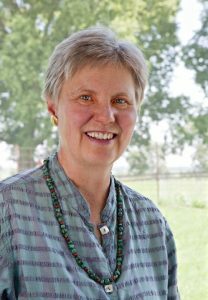 BEI Emeritus Fellow, Mary Swander will be judging the Hefner Heitz Kansas Book Award contest. Kansas Literary Nonfiction writers with book length works published in the past three years (2015/16/17) are eligible to win the $1,000 2018 Hefner Heitz Kansas Book Award in Literary Nonfiction. The annual award, rotating between poetry, fiction, and literary nonfiction is sponsored by the Thomas Fox Averill Kansas Studies Collection at Washburn University in Topeka and there is no fee to enter.This year’s judge Swander was recently named the Poet Laureate of Iowa. Swander is also the artistic director of Swander Woman Productions, and the executive director of AgArts, a non-profit designed to imagine and promote healthy food systems through the arts. Her latest book is a collection of essays called The Sunny Side from Route 3 Press.